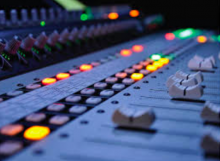 “If you want to get something done” goes the saying, “give it to a busy person.” Why, then, do so many sound engineers seem to have so much time on their hands? the less time allotted to a soundcheck the less time it takes to nail it. Too many engineers are conditioned by singer after singer who insist that the low end is too high, the high end is too low, there’s not enough monitor, the “color” of her voice isn’t being rendered in its full glory, etc. My experience last night was typical: I arrived at my soundcheck to learn that a brief meeting had been scheduled to begin at the same time and place. For a moment it was unclear whether I would wait five minutes the meeting to finish or the meeting would wait five minutes for my soundcheck to finish. Imagine my delight to learn that the meeting would wait for the soundcheck: not because I was impatient but because I knew the if the sound engineer had only five minutes to get it right, five minutes is all he would need. Which brings me to microphones, aesthetics and putting the audience first. You see, I use a clip a clip-on microphone, the kind that attach to one’s tie or lapel. Informed of this, sound engineers typically balk: “They don’t work in this room”. We then proceed to give it a try and it works perfectly right out of the gate. Here’s where it gets interesting: the sound engineer proceeds to fiddle with the volume and gain until his carefully-managed low expectations are proven justified. This is why so many sound engineers and entertainers now use those aesthetic monstrosities which I call “microphone helmets”. First popularized by Madonna, they minimize the distance between the speaker’s mouth and microphone. Newer, more low-profile versions replace the clumsy, horsefly-on-the-face look by employing a smaller microphone head which is then taped to the face, frequently becoming unstuck. The entire monstrosity is one compromise after another. Designed to be as invisible as possible, they’re invariably a United-Colors-Of-Benneton hue resembling the skin tone of no human being. if you’re no better dressed than the audience then you belong in the audience. After donning a well-fitted suit and tie, shined shoes, a shave and a haircut, why would I then want to done something on my head that looks like I’m broadcasting trackside from the Indianapolis 500? Headset microphones are ugly, cumbersome and require frequent and distracting onstage adjustment by the speaker. And while they no doubt make the job of sound engineers that much easier, they make the audience’s job that much harder. amplifying a well-modulated speaking voice should be the technological equivalent to soap: wet it, wipe it, goodnight. Return to daviDDeeble.com or learn why it’s easier to be funny if you look normal.